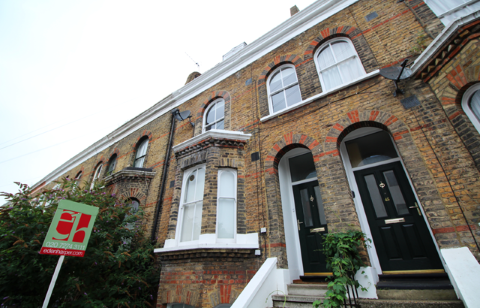 Many factors dictate the time it takes to sell a property in Brixton and Battersea. These include the type of property, the current state of the market, whether it is a leasehold or freehold property, how long is remaining on the lease, whether the sale is to a cash buyer or somebody who needs to finance the purchase through a mortgage and even the time of year the property is put up for sale. Battersea after it has been listed with Eden Harper. This includes the average of between three and four weeks the property spends on the market. However, we would point out that in a sellers’ market – when demand for property outstrips its supply – the time spent on the market can fall to as little as one day. In fact, we have known it take as little as six weeks for a cash buyer to complete the purchase of a freehold property. On the other hand, when there are more properties for sale than buyers, flats and houses in Brixton and Battersea can spend longer on the market. A sale to a cash buyer who is not in a chain, for example, can also take less time to complete than a deal involving a purchaser with a home to sell who needs a new mortgage to finance the transaction. There are 3 stages to selling a property at its maximum price in the shortest possible time. We take you through every step that vendors take to reach the end of the third stage. The property valuations team at Eden Harper has an in-depth knowledge of both Battersea and Brixton. We can give an accurate valuation of any type of property based on its location, size, state of repair and even the number of parking spaces it has. An accurate valuation of a property is key to you achieving a good offer quickly. When you launch your property on the market with Eden Harper, we take care of every aspect of the sales process, from creating full colour brochures, drawing up floorplans, advertising on property search websites, sending out details of your property to our large database of would-be buyers in Brixton and Battersea, conducting accompanied viewings, notifying you of offers immediately and keeping you up to date on the conveyancing process after the sale is agreed. Vendors who are keen to achieve a quick sale at the right asking price are advised to engage legal representation before you put your property on the market and to complete any documentation relating to the sale before receiving an offer. As soon as an offer is received, Eden Harper will notify you verbally and in writing. We will also check the buyer's ability to proceed (including checking proof of funds where applicable) and make our own recommendations before you decide whether to accept the offer. Once you accept an offer for your property in Brixton or Battersea, Eden Harper will prepare a memorandum of sale, write to all parties to confirm the agreed price and ask you to confirm the details of your solicitor. The seller is responsible for drawing up a legal contract to transfer ownership, although this is usually done by a conveyancing solicitor who will draft the initial contract, answer questions from the buyer’s solicitor and negotiate the details of the contract. The timescale for this step can vary dramatically, and depends on the time it takes to complete enquiries and searches and whether all parties are available to answer queries that may arise. Once the contract has been signed by both parties the deposit (usually 10% of the purchase price) will be transferred by the buyer's solicitor to your solicitor. The completion date is then set by mutual agreement. Your solicitor will call you when the money has cleared in the firm’s account and will inform Eden Harper to release the keys. Eden Harper would like to point out that this article is designed to act only as a guide. There are many variables involved in selling property, which means it is impossible to define a timescale for the sales process.